In a close link between industry and culture, Form Us With Love and IKEA are collaborating to create something strong and affordable. 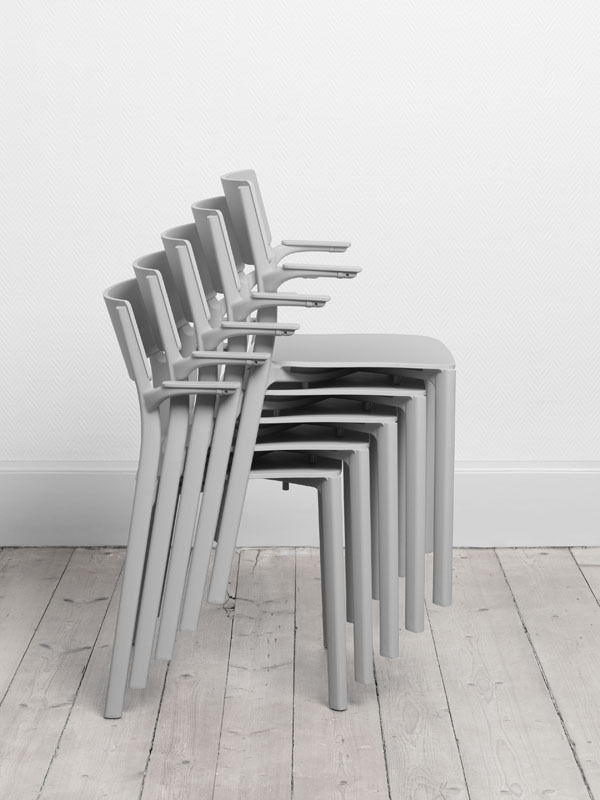 Using neat yet durable frames, a new collection of chairs and stools are presented with a remarkable price. 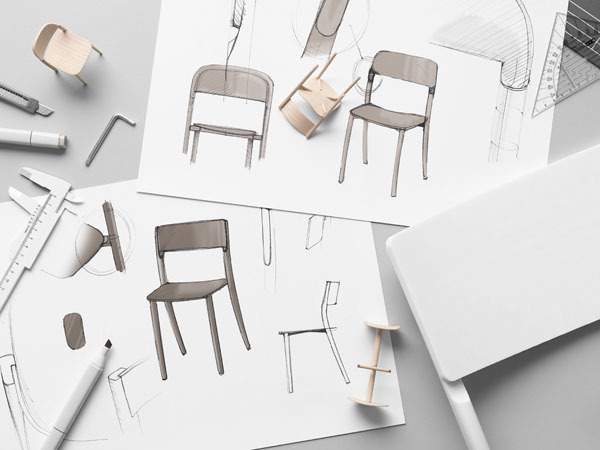 “The great idea behind the JANINGE collection is the democratization of design, to create a durable construction, based on the needs of both domestic and public environments,” says Åsa Hederberg, product developer at IKEA. The theoretical challenge behind the project was the desire to balance the idea of individual aesthetics with public quality. The design needs to be individual enough to fit in someone’s home, yet suitable for multiplication in corporate and institutional settings. “IKEA asked us to design something specific enough for a home that could withstand the international tests for public seating. To pass, we had to design for strength, durability, impact, drops, tilts and unit stability. 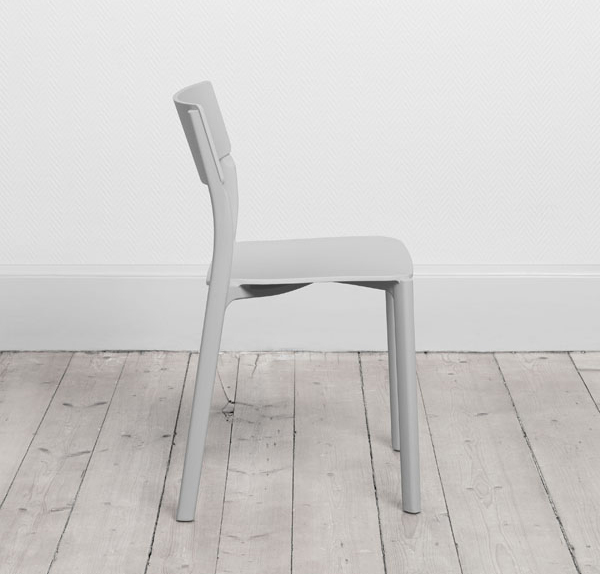 Despite the above challenges, JANINGE chairs and stools had to be the most affordable objects we had ever made,” says Form Us With Love. 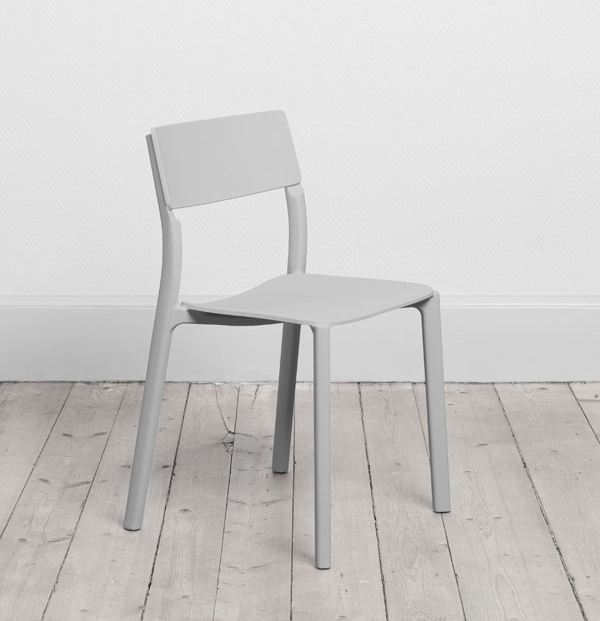 Today, most chairs at this cost does not pass the public quality testing, as the proposition does not add up. However, by analyzing the strength from old Scandinavian wood frames and building a mold, detailed enough for its technical content, the collaborators succeeded and passed BIFMA standards. The result is sense of wholeness, a visual stimuli for public areas as well as genuine durability for your home. 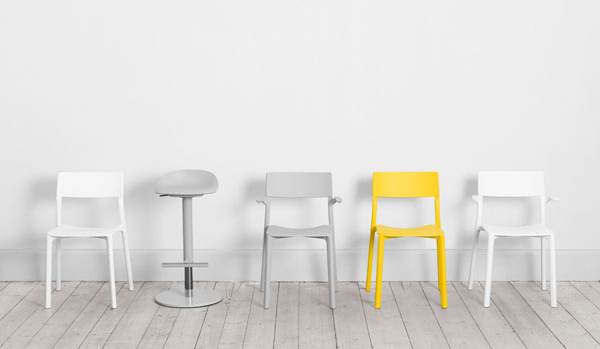 JANINGE comes in light grey, a crisp white or a dash of bright yellow. With the mix of polypropylene 75%, glass fiber and pigment 25%, the collection is suitable for outdoors, stackable and easy to clean. “In working with IKEA, the most interesting challenge is meeting personal style in a world where the boarders between public and private markets are gone. 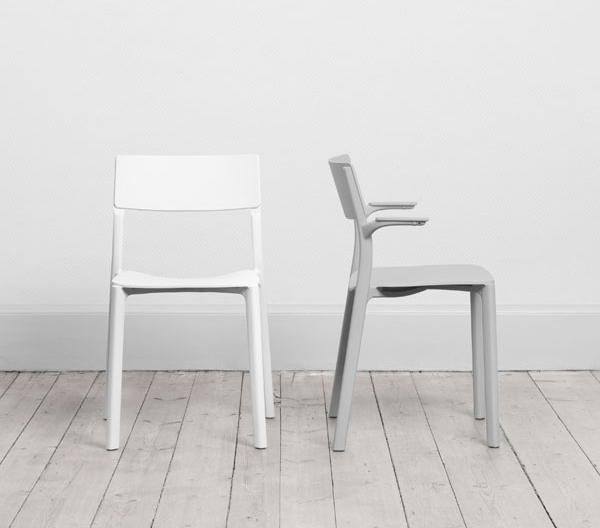 Our collaborative objective was to find the perfect multi-purpose chair, easy to fall in love with and quick to maintain. Whether our designs are placed in domestic or commercial settings, the aim is always to create bonds, where our designs contribute to human values of comfort and generosity,” says Form Us With Love. 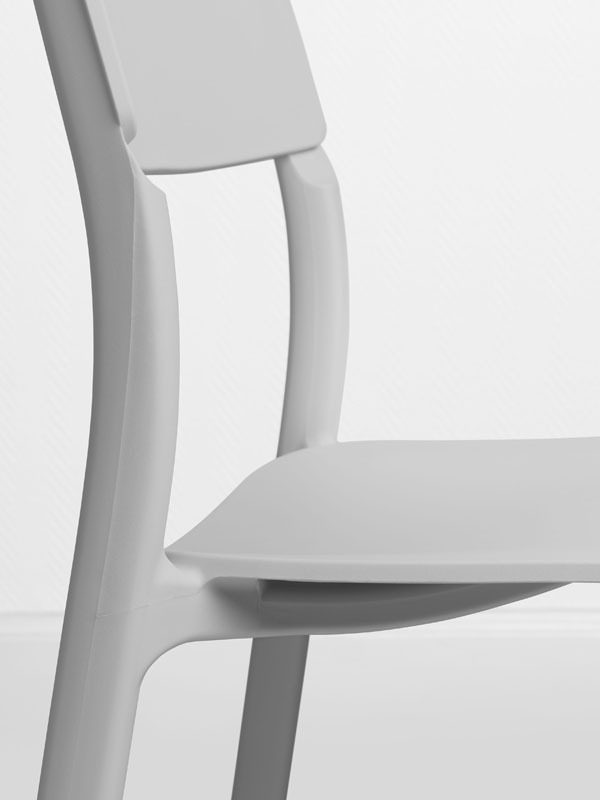 “Developing a durable plastic chair is a long process. Through the stages of product development, we have come to know all members of the Form Us With Love studio, as we work closely with every part of the team. In fact, we are so happy with the collaboration that we have already started our next project,”Åsa Hederberg, product developer at IKEA, concludes. The IKEA Concept starts with the idea of providing a range of home furnishing products that are affordable to the many people, not just the few. It is achieved by combining function, quality, design and value – always with sustainability in mind. The IKEA Concept exists in every part of our company, from design, sourcing, packing and distributing through to our business model. Our aim is to help more people live a better life at home. The IKEA Concept comes to life in many ways: Through our worldwide stores, in the IKEA catalogue, via the web and apps, and most importantly in millions of homes around the world.